The mind controls the body…why not get ALL of yours onboard! With the information you provide below, I will make a Personalized Self-Hypnosis MP3 recording to help reinforce relief from your pain, using the power of your mind. You can choose which water background sounds on your recording, too. You’ll need to listen to your recording daily for at least one month for complete reinforcement. As individuals vary, so do results; so the more you listen, the better it works! 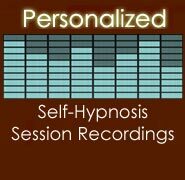 The cost of each Personalized Self-Hypnosis MP3 Recording is $149. Your recording is emailed to you, and you can play it directly from the email on your smartphone, laptop, or tablet. No technical wizardry is required! Just click and play. When paying by check or money order, the recording is emailed 3-5 business days after your check has cleared. (My address is on the Contact page.) Credit Card orders are emailed 3-5 business days after your order is placed. You can securely pay using any major credit card by clicking on the link to PayPal after submitting your order. Hypnosis, Hypnotherapy, Guided Imagery and Self-Hypnotic Techniques are not meant as a substitute for standard medical, psychological or psychiatric treatment for serious or life-threatening conditions, such as physical trauma, surgical emergencies, bacterial/viral infections, physiological abnormalities, or thought disorders such as psychosis or schizophrenia. Hypnotic techniques are an adjunctive/complementary alternative therapy for self-healing, self-help, and/or behavioral modification. If you are currently experiencing severe symptoms, first seek the advice and diagnosis of a licensed Physician before attempting any self-healing technique. In ordering a Personalized Self-Hypnosis MP3 Recording from me, you agree to also be under the care of a physician if you have a serious or life-threatening health problem.